Portland Achitecture blog quizzes Darin Dougherty of Seed & Ziba. Atlantic Cities’ 10 space savers for urban micro apartments. It&#39;s a bench! A bookcase! A coffee table! Or all three. Portland Trimet says Clackamus contractually committed regardless of vote. 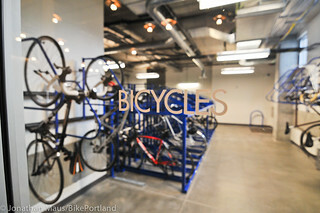 Portland’s bike-friendly urban digs . . .
Portland – Trimet YouthPass on chopping block – penny wise pound foolish? Portland Architecture looks at Grant Park Village Development; construction soon to start. Design Museum Boston in Portland? – from one of UrbD’s fave design blogs: Portland Architecture . . .
Beaverton affordable housing project scuttled because developer joins Portland Mayor’s staff. Beaverton official alleges damage. Lawsuit?